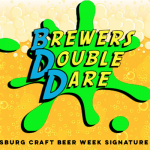 The official home brew competition & beer tasting of Greensburg Craft Beer Week! You won’t want to miss the chance to sample these great beers — and possibly discover the area’s next brewer. This a ticketed event where guests will be able to taste all of the 2018 GBGCBW collaboration beers and vote for their favorite home brews entered into the competition. Enjoy live music, food trucks and the photo booth then grab some GBGCBW swag at the merch tent! 30 Home Brewers will be present, attendees will be able to taste over 60 beers! Online Ticket Sales are now CLOSED. There will be a limited amount of tickets sold at the door. Cash or card only.